Sara Wilford, MSEd, Med, is Director of Sarah Lawrence College's Art of Teaching Graduate Program. A former nursery school and public primary grades teacher, she joined the Sarah Lawrence College psychology faculty as Director of the Early Childhood Center in 1982, remaining in that position for twenty years and teaching undergraduate courses connecting educational theory and practice. She held the Roy E Larsen Chair of Psychology from 2000 - 2005, and received a Teaching Excellence Award from the Bank of New York. 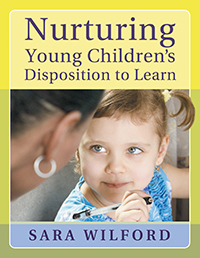 Sara is the recipient of the "2009 Champions for Children Award from the New York State AEYC" and is the author of two previous books, Tough Topics and What You need to Know When Your Child Is Learning to Read. When young children’s learning styles are recognized and nurtured, they are more inclined to develop socially, emotionally, and mentally. Find out how brain research, social issues, and individual dispositions impact children’s learning. Gain perspective on the practices used in your school with an examination of classroom ideas inspired by a trip to Reggio Emilia, Italy, early learning standards from the National Association for the Education of Young Children, and how observation and communication skills are essential in building children’s unique strengths. With these approaches, you can help your students succeed to their fullest potential.